Vikings and norse mythology seems to have been a popular concept in games recently. Hellblade: Senua's Sacrifice, for instance, is an excellent hack-n-slash adventure through Norse hell. I've also been playing the Wasteland-like RPG Expeditions: Vikings on Steam (which I'm hoping to review soon). I also have games like Mount & Blad: Viking Conquest and Total War: Thrones of Britannia on my short list of games I'd like to play. And there was also the Viking character in For Honor. Now, Sony's PlayStation flagship God of War has jumped from Greek mythology to Norse mythology. Having killed all the Greek gods, Kratos has apparently settled down in the mythological Midgard with a wife and son, only for his wife to die and his son be attacked by the Norse god Baldr. 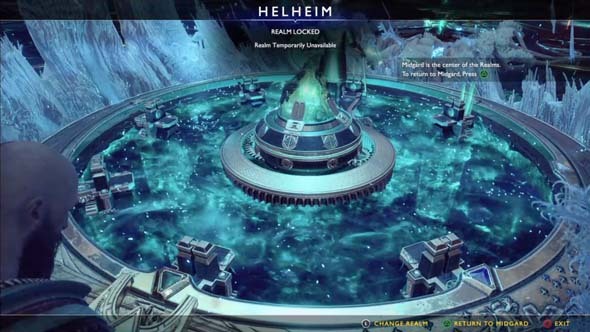 This sends Kratos and Atreus on a father-son bonding adventure to spread Atreus' mother's ashes from the highest peak in all the realms, and to learn why the Aesir are suddenly keen on hunting them. Norse mythology seems to be a popular subject in media lately. Atreus has some of the same problems that The Last of Us has with Ellie. Atreus doesn't feel vulnerable enough to demand protection, and he's rarely relevant outside of combat, except for his running commentary about what you're doing. Because of this, the actual game rarely feels like it's about protecting or escorting Atreus. And even though the game is ostensibly about Kratos teaching Atreus how to fight and be a man, the player never has an opportunity to actually teach the kid or take on any parental responsibility for him. It's just about Kratos throwing axes at draugr, and Atreus occasionally shoots them or jumps on their heads to help you out. The puzzle sections rarely require using Atreus (other than occasionally shooting something with his bow or having him scamper through a small tunnel). Atreus is basically just an extra ranged attack. That being said, I think that God of War makes some strides in the right direction (compared to The Last of Us). 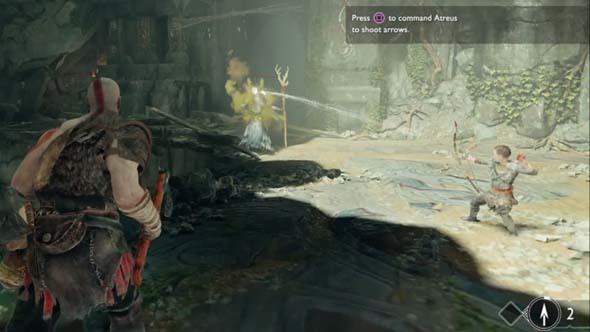 The player (and Kratos) can command Atreus to attack a target with his bow, which is one of the easiest and most consistent ways to deal stun damage to enemies, which opens them up to an intant-kill attack from Kratos. It's also a strategy that is pretty much essential on the harder difficulties. This creates a much greater sense of playing in tandem with Atreus, as he and Kratos often work together to defeat foes. 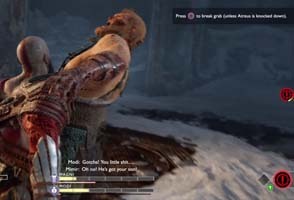 Atreus and Kratos can also break each other out of being grappled or stunned. I've never gotten a "Game Over" as a result of Atreus being defeated, so I'm not sure if that's a possible fail state. Being grappled or stunned only seemed to ever temporarily take Atreus out of the fight and negate the ability to use his bow. Either way, this is an improvement over Ellie from The Last of Us, who (as far as I recall) operated entirely independently from Joel, was never at any risk, and could be completely ignored for most of the player's time actually playing the game. 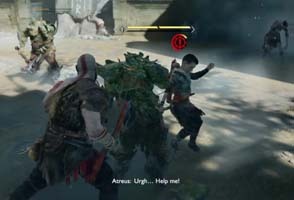 Kratos and Atreus can break each other out of enemy grapples and support each other in combat.